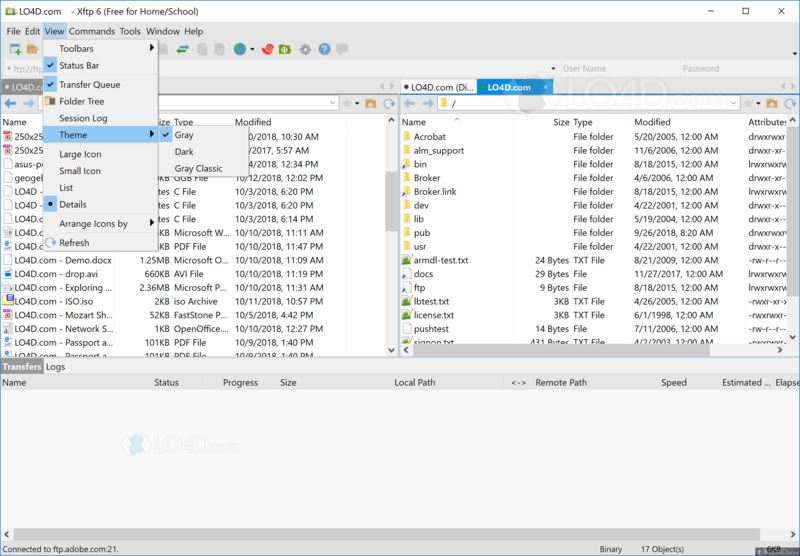 Xftp Free is an FTP client that supports both FTP and SFTP, as well as site-to-site transfers known as FXP. The client is fully-featured and follows many of the same design and layout of other popular FTP clients, including support form multiple connections and multiple panels. 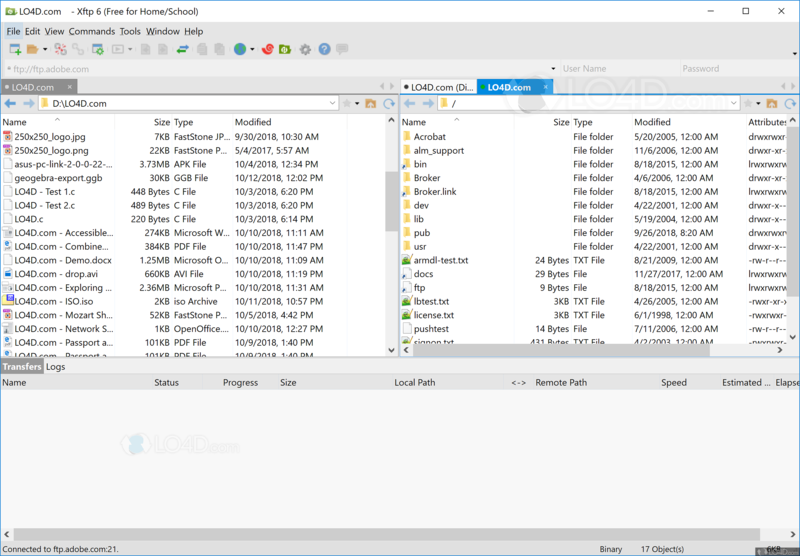 Xftp Free is quite useful for synchronizing files between the client and host; files and directories appear side-by-side when connected to a host. It can also function in a one-way mode. 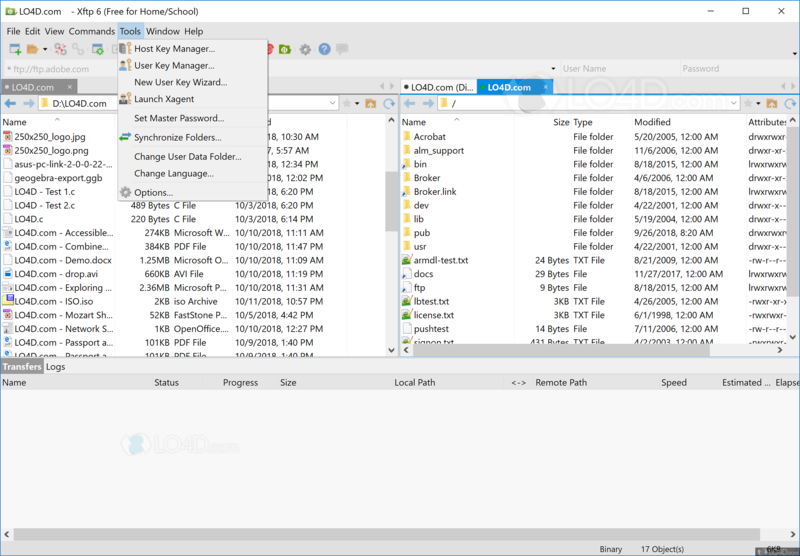 Along with keeping files up-to-date, Xftp Free is also able to remotely change file attributes like user permissions on different types of FTP servers like those running on UNIX-based systems like Linux or others like Windows. Xftp Free can also execute actions after tasks have been completed as well as maintain customizable hotkeys. It's also useful for remotely editing files on a remote server using Windows Notepad. 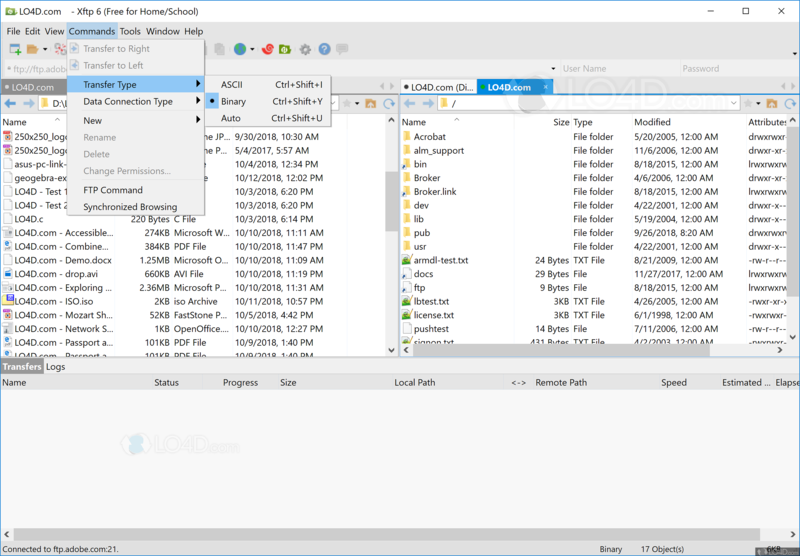 Overall, Xftp Free is a useful and feature-packed FTP client which is free for home users. Xftp Free is licensed as freeware for the Windows (32-bit and 64-bit) operating system / platform from ftp clients without restrictions. Xftp Free 6.0.0105 is available to all software users as a free download (Freeware). Compatibility with this FTP transfer software may vary, but will generally run fine under Microsoft Windows 10, 8, 8.1, 7, Vista and XP on either a 32-bit or 64-bit setup. 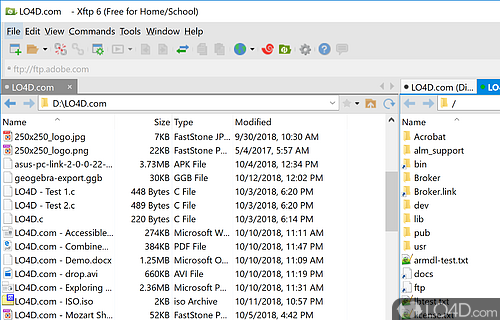 A separate x64 version of Xftp Free may be available from NetSarang Computer. This download was signed by NetSarang Computer, Inc. and distributed as Xftp-6.0.0105.exe. We have tested Xftp Free 6.0.0105 against malware with several different programs. We certify that this program is clean of viruses, malware and trojans.